Pre-order my new book and get a 40% discount. You can now pre-order a copy of my new book with Temple University Press and get a 40% discount. Use the code GLOCAR19 to receive the discount. It will be out in mid-July. The title of the book is: "Globalizing the Caribbean: Political Economy, Social Change, and the Transnational Capitalist Class". I have been working on the book since 2011. It has approximately 12 tables, 40 figures, 3 maps, and will be around 380 pages. I am a co-signer of this open letter calling for dialogue and an end to U.S. intervention in Venezuela. The full letter can be read here. Read here a short article that I have written for The Canary, a news website based in the UK. The article looks at the recent massacre conducted by state and state backed forces in the neighborhood of La Saline in Port-au-Prince, Haiti. See here for a French version. I have a co-authored chapter (with William I. Robinson) looking over the idea of a transnational capitalist class (TCC), and the different findings and debates on this topic. The chapter is published in the The Oxford Handbook of Global Studies, edited by Mark Juergensmeyer, Manfred B. Steger, and Saskia Sassen. Read the full chapter here. 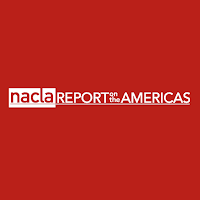 The 2018 summer issue of NACLA Report on the Americas includes my new article: "Global Capitalism in the Caribbean". Read the article here or download the PDF here. Here is a French and Spanish translation of the article. I have a new working paper (a non-refereed research paper) published with the Stiftung Wissenschaft und Politik (SWP), a think tank in Berlin. The paper is titled "State transformation in globalizing Asia: New geopolitics or a restructuring of social power relations?". You can read it here. Here is a recent presentation (that I recorded) by Emeritus Professor Hilbourne Watson. It is titled "Crisis of global capitalism, global white supremacy, and the new nationalism" and was given at the 2018 conference of the Global Studies Association-North America at Howard University in Washington, D.C. I am happy to announce that Temple University Press will publish in early-2019 my second sole-authored book. It will be titled: Globalizing the Caribbean: Political Economy, Social Change, and the Transnational Capitalist Class. 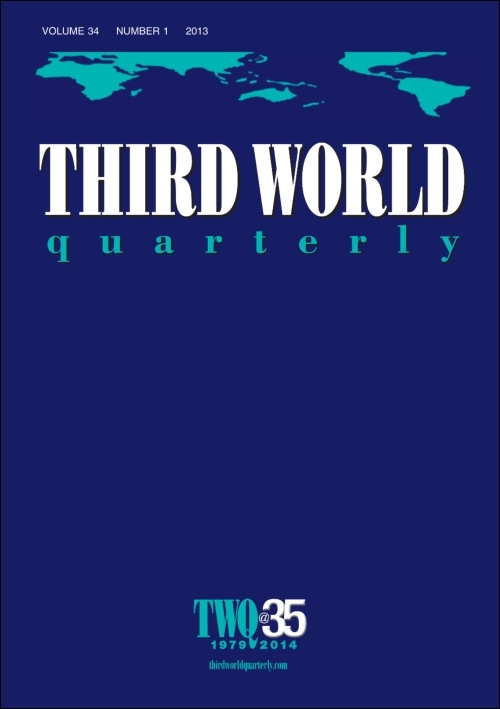 I have a new research article on Haiti published in the journal Third World Quarterly. It can be read here. Also listen here for a related recent interview that I did with Pacifica Radio's show Sojourner Truth with Margaret Prescod. I was also quoted in the Miami Herald in regards to this research. Esta presentación se realizó en la conferencia "Capitalismo global en las Américas" que se celebró en La Habana, Cuba, en noviembre de 2017. Esta fue la cuarta conferencia bienal de la Red de Estudios Críticos de Capitalismo Global (NCSGC). The Journal of World-Systems Research published a new peer-reviewed journal article that I have authored. Through the context of the Caribbean region, this article examines the globalizing cruise ship business and its changing strategies for the exploitation of labor and local communities. You can read the article here. Cornell University Interview on my previous and forthcoming books. Jeb Sprague-Silgado Interview from CUSLAR at Cornell University on Vimeo. The scholarly journal Research in Political Economy has published my newest article: "Transnational Capitalist Class and Relations of Production in Asia and Oceania". You can download the full article here. Alexius A. Pereira, a researcher in Singapore (who received his Ph.D. at LSE), has published an excellent review of my 2016 edited volume. His review of Globalization and Transnational Capitalism in Asia and Oceania can be read here in Critical Sociology. This weekend I am serving as part of an international election observer delegation working with the Mexican civil society organization “Ni un fraude más". We are investigating electoral processes in the State of Mexico as it undergoes an important gubernatorial election. Here is information in español about our mission, and the institutional and democratic crisis that Mexico faces. I am a co-signer of this open letter calling for the U.S. government to extend Haiti's TPS (temporary protected status) designation. As the letter states: failure to extend TPS "would be disastrous for families here and there and destabilizing, adding a significant burden to a nation already saddled with overwhelming challenges, increasing desperation..."
See Counterpunch for a new op-ed that I have co-authored : "The US Political Scene: Whiteness and the Legitimacy Crisis of Global Capitalism". It also appears here in Spanish and here in French. 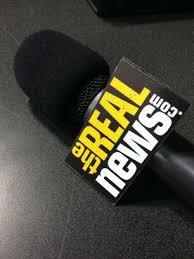 I was interviewed today by The Real News Network on current events in Haiti and in relation to my earlier research on paramilitarism in the context of economic restructuring, social conflict, and political tensions in the country. The journal Latin American Perspectives has published my lengthy review of Caribbeanist Hilbourne Watson's excellent new monograph Globalization, Sovereignty and Citizenship in the Caribbean (published with the University of the West Indies Press). 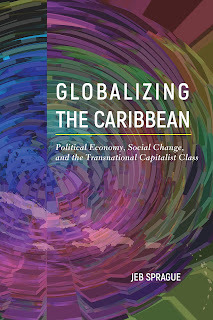 The review also includes some thoughts on the contributions to the volume by other well-known Caribbean political economists, such as Alex Dupuy, Linden Lewis, and Anton L. Allahar. You can read the entire review here.